And so starts Emerald City Comic Con today! This is the biggest weekend for Comics in Seattle, and today starts the big show. Emerald City Comic Con kicks off at 2PM today, and we are in Booth 520 with the biggest collection of Doctor Who toys in the hall. Other vendors have bits and odds and sods, so if we run out we might send you off in their direction so you can also purchase from them. One vendor has the talking Dalek Plushies we were not able to get and they are just up the hallway (Isle 5) from us so you might want to check them out as well. Walking through the hall yesterday, there is a lot of neat stuff, from Transformers toys to DC action figures, and there is this amazing floor to ceiling booth of t-shirts, hats, and other stuff. This is the first time I have seen anyone using the entire booth space including the vertical space; you could get a crick in your neck looking at all this stuff. And of course there are the endless tables of dollar comics all over the place if that is your thing. But there are just simply a lot of neat things all over the hall way, and if you get a chance, stop by Prism Comics site, some of the best LBGT comics are on sale there this weekend. 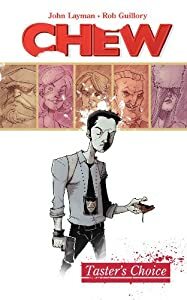 And there is a special for one of our writers, Chew’s author John Layman will be hanging out at the Image Booth today, so you know we are going to get a couple of signed copies of Chew for Sharayah Read, you can read her reviews of the comic book right here. One of our other writers Andrew Shurping is also showing up and will be wandering the con so if you see him, just say hello. 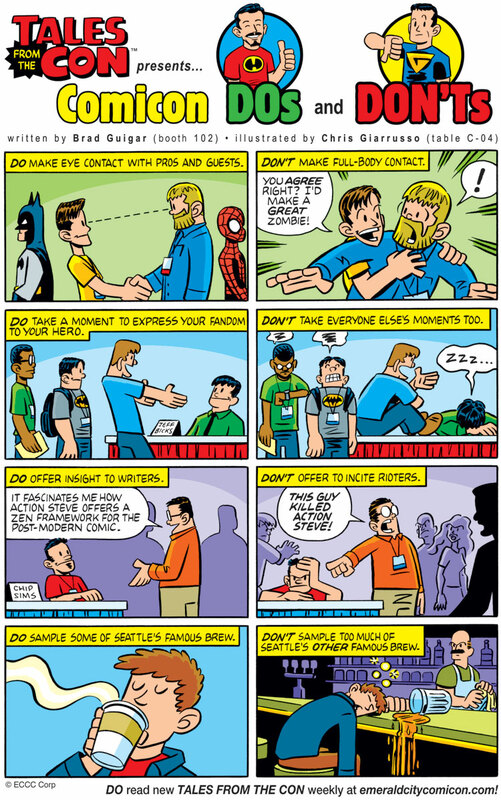 And just to help you out, the ECCC Web site has some simple do’s and don’ts for the show, so make sure you are cool today. It is going to be a long weekend with plenty of time to see everything. Of course the best deals are going to happen Sunday at 3PM, but if you really want something, you are going to want to get it early because a lot of the vendors look like they brought limited stuff. If you see it, and you want it, just get it.